Three full weekends of beers and lederhosens. 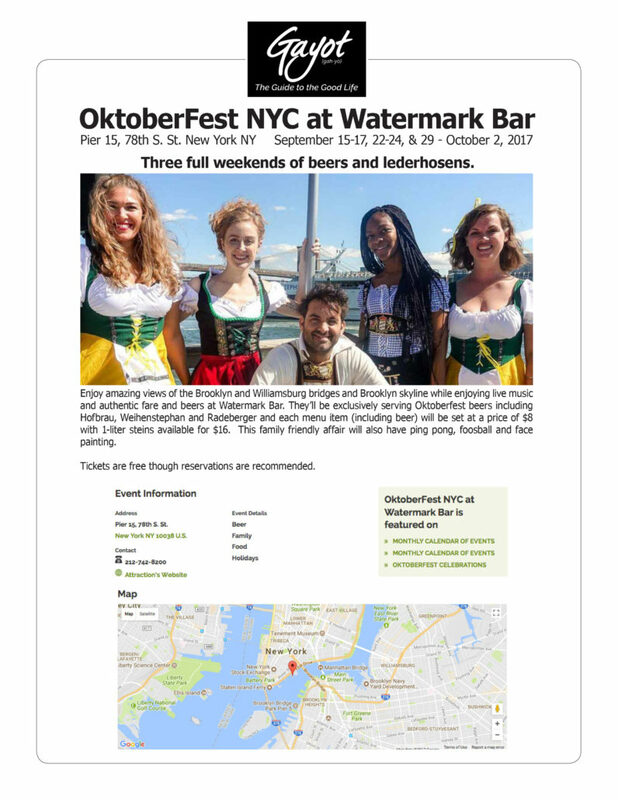 Enjoy amazing views of the Brooklyn and Williamsburg bridges and Brooklyn skyline while enjoying live music and authentic fare and beers at Watermark Bar. 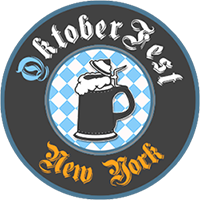 They’ll be exclusively serving Oktoberfest beers including Hofbrau, Weihenstephan and Radeberger and each menu item (including beer) will be set at a price of $8 with 1-liter steins available for $16. This family friendly affair will also have ping pong, foosball and face painting. Tickets are free though reservations are recommended.